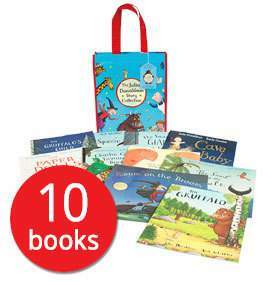 You get 10 Julia Donaldson picture books in a lovely bag to keep them all in for £12.85 delivered today (£9.90 for books and £2.95 delivery) only when you code EXTRA10 at checkout. 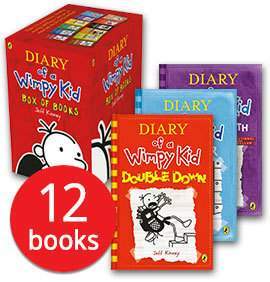 If you spend £25 you get free standard delivery which makes the books £9.90 - less than £1 each! I was gonna buy this until I noticed it was in "a bag"
That is a terrific set of jd books. I've bought packs of 10 from book people at work and there are usually "padding" books along with the good ones but these all are good ones.